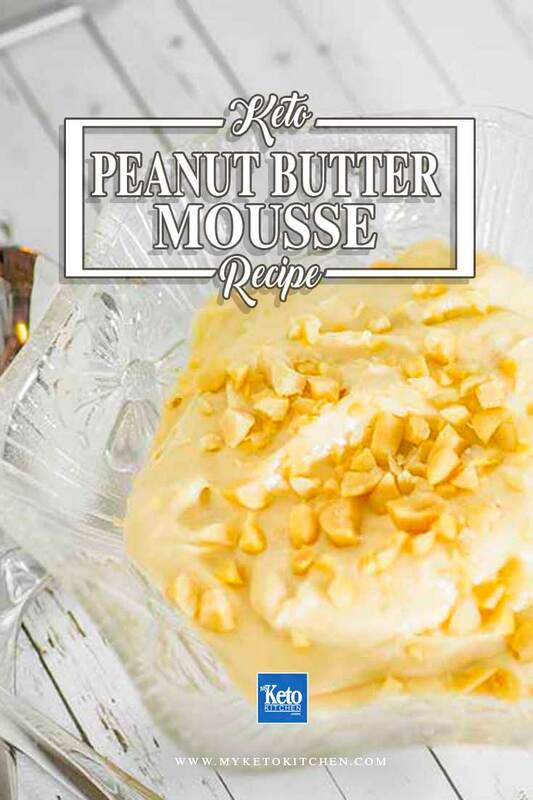 Home » Recipes » Peanut Butter Mousse – Delicious Low-Carb & Gluten-Free Dessert! Our super simple Keto Peanut Butter Mousse recipe is very easy to make and delicious too! 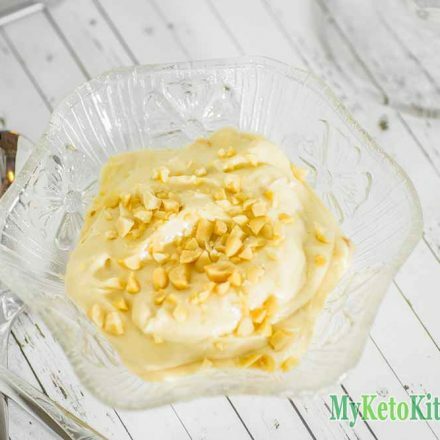 This is one decadent keto dessert, you will want to savor every spoonful. We love this Peanut Butter Mousse that we make it in large batches. If you want to try another of our peanut keto recipes try our Low Carb Peanut butter Cookies. If peanuts nuts are not your thing try our Keto Chocolate Mousse or Mocha Latte Mousse they’re simply is divine! Add all ingredients into a mixing bowl and whisk for 2-3 minutes, until the mix is beginning to thicken. You are looking for a slightly firmer soft peak. Spoon into dishes and enjoy. Peanut Butter Mousse - Delicious Low-Carb & Gluten-Free Dessert! If you are short on time and big on hunger our super simple Peanut Butter Mousse recipe will hit the spot. you'll LOVE IT! Add all ingredients into a bowl and whisk for 2-3 minutes, until the mix is beginning to thicken. You are looking for a slightly firmer soft peak. If you want to make a larger batch of this peanut butter mousse recipe adjust the servings above. This is so light, creamy and peanut buttery. I can’t believe it’s so easy. Love it!